The H-MAP-P is designed for naturally aspirated engines where there will be up to 0.05 Bar positive air pressure in the intake manifold due to ram air effects. 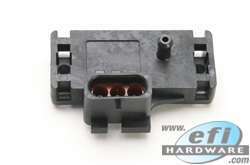 Delco map sensor 2 bar use with weather pack plug H-MAP2/3C. For use on forced induction vehicles with up to 1 bar of boost. 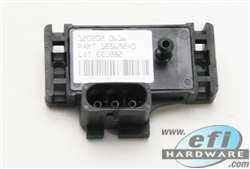 LS3/7 (Gen 4) 2.5 Bar MAP Sensor. For use on forced induction vehicles with up to 2 bar of boost. 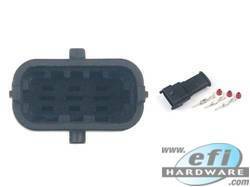 This OMNI Power MAP sensor is a direct plug and play upgrade sensor for an easy install and an OEM look. 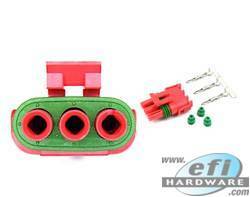 Fits various Subaru WRX and Sti models from V7-on (2000-on). This OMNI MAP sensor reads up to 4 Bar absolute pressure, meaning that it is suitable for applications running up to 3.0 Bar (or 44psi) of boost pressure. Male Pin Connector to suit H-MAPLS3/7C. 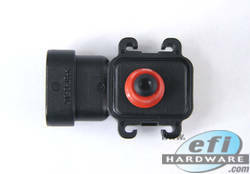 Use one of each of these connectors to make a relocation/extension/adapter loom for your MAP Sensor. 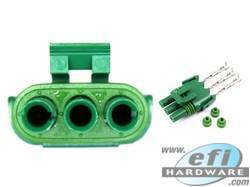 4 Bar MAP Sensor (Maximum of 3 Bar (45PSI) Boost Pressure). 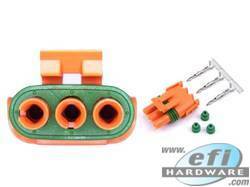 Option of high quality Deutsch 3 Pin DTM Connector. This 0.4 to 4 Bar Absolute Bosch MAP and Air Temperature Sensor is a great solution for high boost pressure sensing. 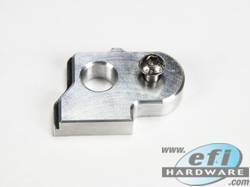 This MAP Sensor is designed for direct manifold fitment and has an integrated Temperature Sensor. Note ; -Although it is stated as a 4 bar MAP Sensor it is atmospheric to 3 Bar boost with 0.4 to 1 Bar Absolute for Vacuum. 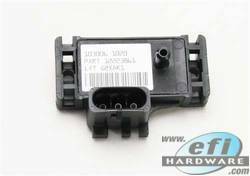 Fits Toyota Supra 2JZ 1993-1998 Subaru Legacy Turbo 2005-2009 This OMNI MAP sensor reads up to 4 Bar absolute pressure, meaning that it is suitable for applications running up to 3.0 Bar (or 44psi) of boost pressure. 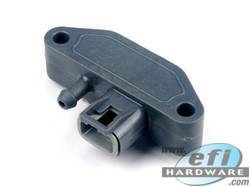 Converts Standard FG XR6T 1.5 BAR Map Sensor Connector to 3 and 4 Bar Map sensor connector.